They Deserve To Be Safe & Protected, You Deserve Some Added Peace of Mind! 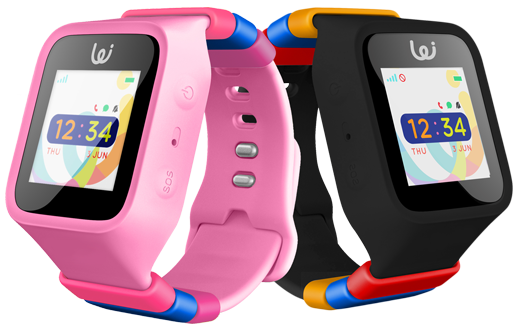 The Wizard GPS Tracking Watch Phone is perfect for any parent concerned about their child’s safety and protection. Whether they are away from home at school or play, the Wizard allows you to Contact, Locate, Monitor and Protect your child. Our product features LIVE GPS tracking, Cellular Voice & Text Communication, a One-Touch SOS alert button, Safe and Danger-Zone (virtual fence), Device Removal alerts, and much, much more. Don't leave your child's safety to chance, get your child the protection they deserve and give yourself some peace of mind. Order a Wizard Watch today! In the video below, the Fourie Family explains the features of the Wizard Watch, and puts the device through a LIVE GPS Tracking demo. See for yourself how easy it is to locate your child when they are wearing the Wizard Watch! What can I do with the Wizard Watch?